A thick fog settled over Chez Herd yesterday. We stayed gloomy all day long, so we decided to create a trip hazard for Hu-Dad. Yep, the black and white boys spread themselves out and napped while Hu-Dad worked. 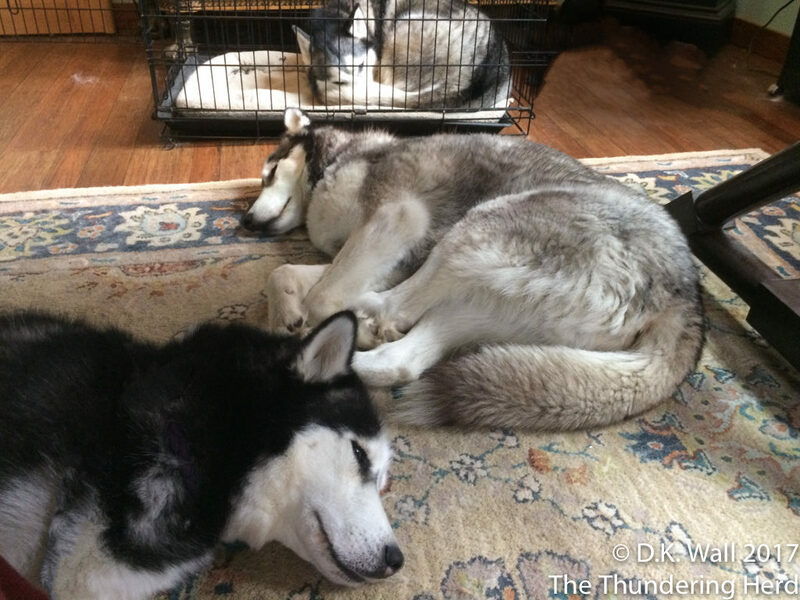 Cheoah, Kiska and Qannik took over their crates in the bedroom. The end result is that Hu-Dad just heard snores while he tried to concentrate on work. And someone is bound to ask about Frankie in the crate above. If you look carefully, you will note the door is wide open. He claimed the crate and napped in it for half the day before moving to his preferred spot, the blanket right beside the Hu-Dad’s desk. Yes, Frankie’s exercise program for the day was to move from one side of the room to the other. Tomorrow is Film Friday. Don’t forget to go to our YouTube channel and subscribe so you never miss a new video! You have the most precious trip hazards I’ve seen! You call yours tripping hazards, we call ours “Furry Speedbumps”. 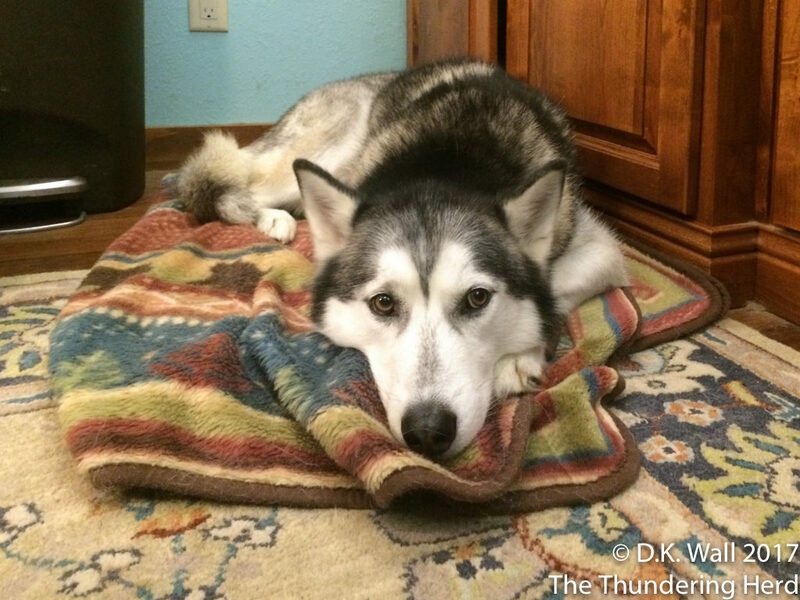 Funny how dogs that get the zoomies, can be so quiet…..